LOS ANGELES -- U.S. television actress Kaitlin Olson has confirmed she gave birth Thursday to her second child, a son named Leo Grey McElhenney. 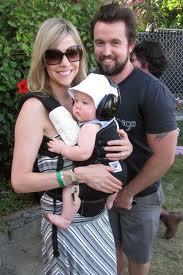 Olson married actor-writer-producer Rob McElhenney, her co-star on "It's Always Sunny in Philadelphia," in 2008. They are also the parents of a 19-month-old son, Axel Lee. People.com said the actress gave birth to little Leo at 1:15 a.m. Thursday at their home in Los Angeles. "We are overjoyed," Olson said in a statement issued to the entertainment news Web site.